Has the print in your books been getting smaller? 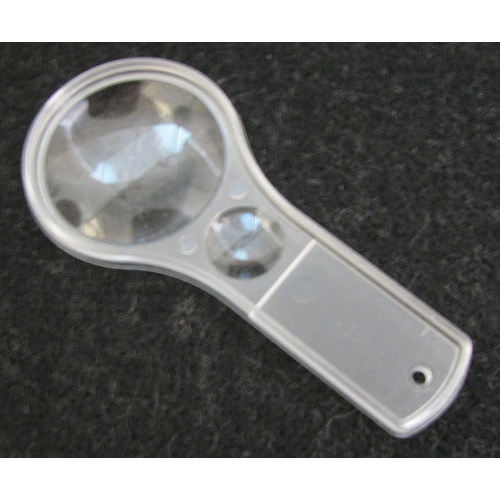 Fight back using this 3-1/2" long plastic magnifier with (2) lenses. 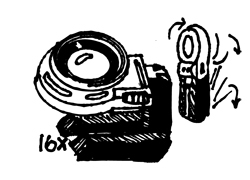 The 2x lens is 1-3/4" dia., while the 6x lens is 3/4" dia. Kids will love using it to explore bugs, crystals and leaves up close. Optimize the power of your microscope and get the sharpest possible image with a drop of clear, colorless immersion oil between the lens and your slide. This 0.5 oz tube of low-viscosity Resolve® Immersion Oil from Richard-Allan Scientific has a refractive index of 1.5150. 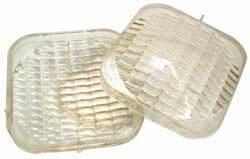 It is non-drying and non-hardening, and will not damage lenses or valuable slides. But it will definitely enhance your view! 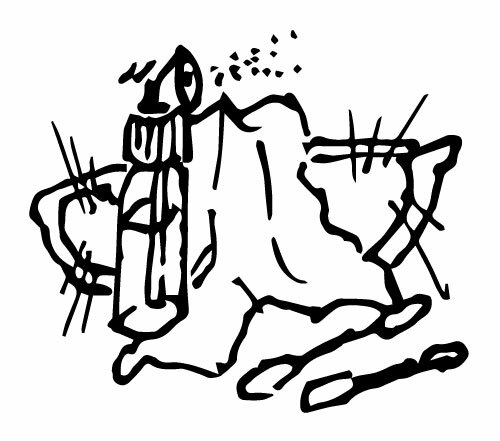 If you want something done right…. 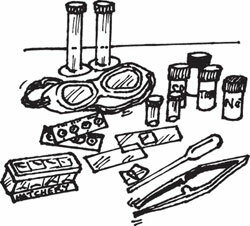 And yes, that includes laboratory slides. 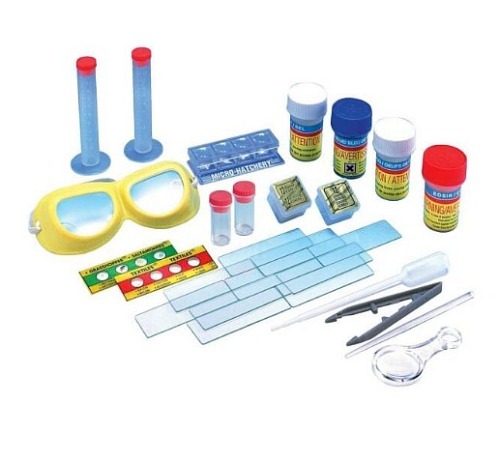 This 17-piece slide-making kit from Elenco includes (10) blanks, (12) cover glasses, labels, and static slide covers, magnifier, (2) vials & graduated cylinders, shrimp eggs, methylene blue, micro-hatchery, goggles, and more. 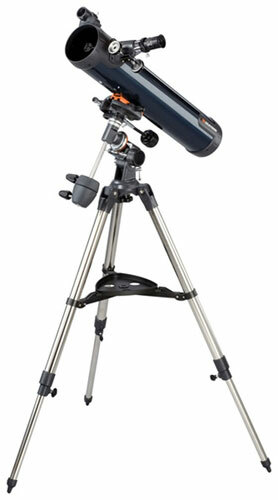 The AstroMaster 76EQ Telescope by Celestron® is great for budding stargazers. 76mm dia with a 700mm focal length. Includes a (35X) eyepiece, starPointer, erect image optics, and a German Equitorial mount, which allows you to track a celestial body on its elliptical path across the sky with the turn of a simple knob; no more chasing the moon and stars through endless blackness. 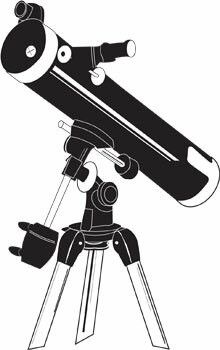 Also has a steel-tube tripod, coated glass optics for crisp images and the SkyX-First Light Edition astronomy software with a 10,000-object database, printable sky maps and 75 enhanced images. Quick and easy, no-tool setup. 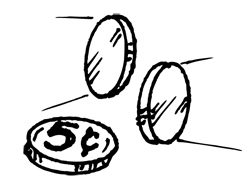 For versatility, pick an additional Plössl eyepiece: the 15mm eyepiece at 46X magnification; or the 6mm at 116X magnification. 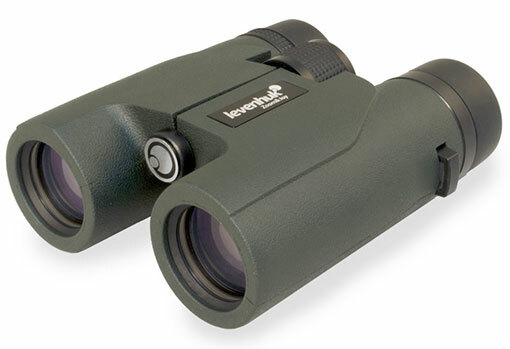 You’ll look really good with these Karma PRO 8 x 32 binoculars from Levenhuk® with multi-coated optics, twist-up eye-cups, right-eye diopter adjustment and rubber coating. Includes a standard 1/4”-20 mount opposite the focus wheel for a tripod, rubber objective and eye-piece covers, shoulder bag and a cleaning cloth. Lifetime warranty available through the mfr. 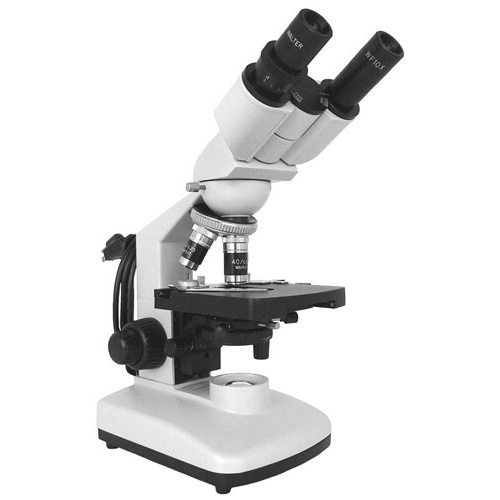 This binocular microscope for the serious science student is extremely well-priced. 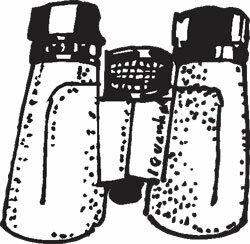 Magnification is determined by color-coded 4X, 10X, 40X and 100X oil-immersion objectives and (2) 10X eyepieces, for 40X, 100X, 400X and 1000X magnification. 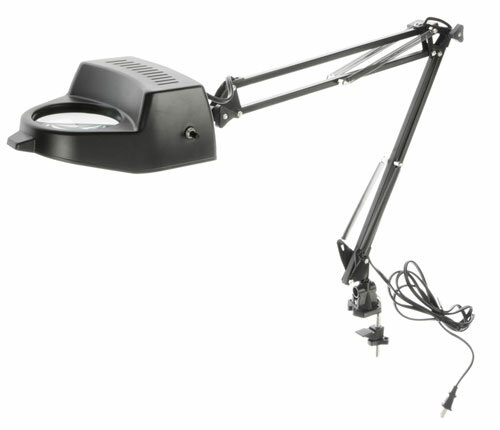 It offers a 110-volt, 1-watt LED substage illumination, interpupilary adjustment, rack-and-pinion coarse/fine focus, an iris diaphragm, and a mechanical stage with an Abbe condenser. It has a comfortable 45° viewing angle. Brand new, and at a terrific price! It also includes a 1 year warranty w/proof of purchase. 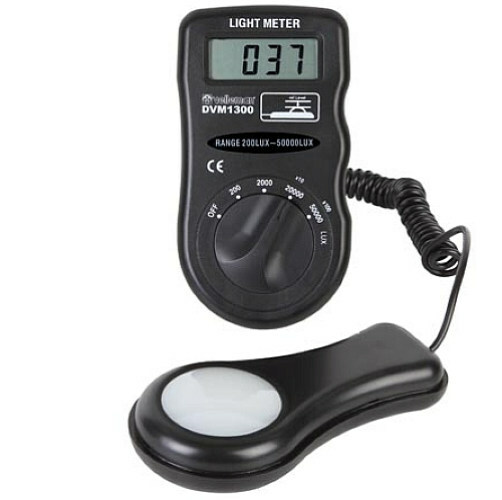 This Velleman DVM 1300 Light Meter displays measurements between 0.1 and 50K lux in (5) different ranges on a liquid crystal display with (4) 1/2" high digits. Filtered 1-1/2" dia sensor on a 13" coiled cord. 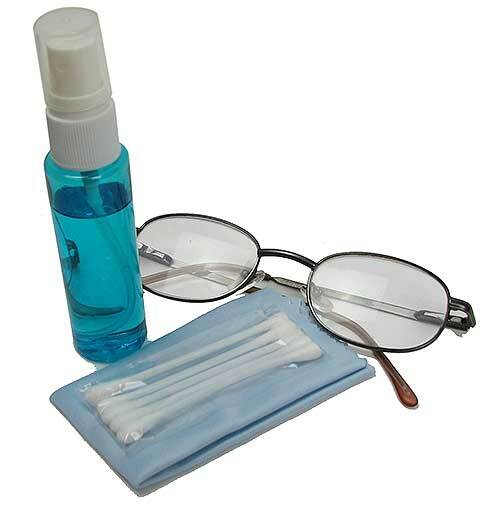 The 4-5/8" x 2-3/8" x 7/8" case has reflective tape on the back for dealing with a shadow. Comes in a vinyl case with a recommended-illumination chart and a 12-volt battery. 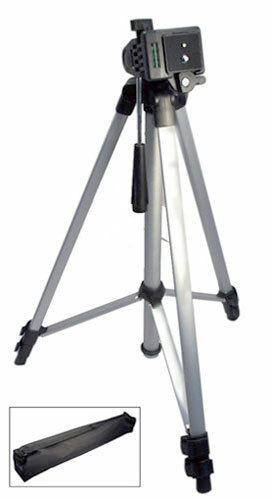 A tripod with true portability -- It weighs only 2 lbs, the 4-ft aluminum legs (which can be locked down independently at any length) telescope to a convenient 22", and it slips easily into a zippered black-nylon quiver. 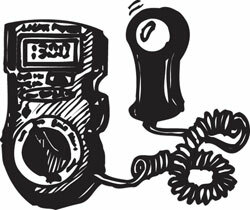 The mast, which has a standard 1/4-20 camera mount and a built-in level, can be cranked up (literally) another 9-1/2". The manufacturer doesn't say how much weight the tripod will bear, but we'd keep it to under 10 lbs. Very nice for the money. ...and we are merely microscopes? 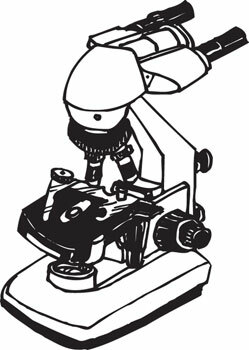 Develop your own (better) metaphor with this solid black plastic microscope stage, 5" x 4", another fine product from the old Soviet Union. With a 1-7/32" dia hole in the center and a threaded 1/8" dia hole straight through, and (4) threaded holes (Also 1/8" dia) on the underside for mounting the iris and condenser assembly. 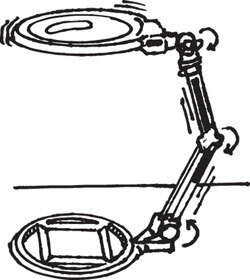 This giant 5" dia magnifier stands alone, 10" above a base with a mm/inches plotting scale, like a giant linen tester, but folds nearly flat for easy storage or portability. The large lens is 2X with a 5/8" dia 2X bifocal inset (ignore the description on the box). Illuminated by a very bright white LED. for which you need to bring (3) "AAA" batteries to the party. White plastic and chromed metal. 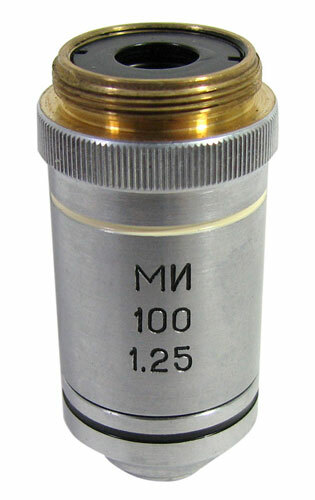 LOMO microscope objective: 100X spring-loaded oil immersion semi-plan achromat with a numerical aperture of 1.25, designed for a 160mm tube, with RMS threaded nosepieces and a parfocal distance of 45mm. Normally sells for $100--high-quality Russian optics for an amazing American surplus price! 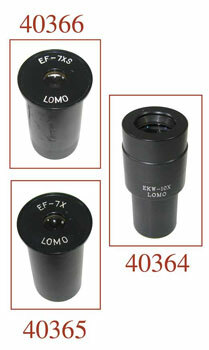 Select from our collection of compensating microscope eyepieces from LOMO® at microscopic prices. 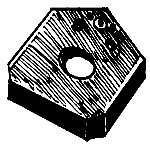 All of these are standard DIN size, all are F.N.18. 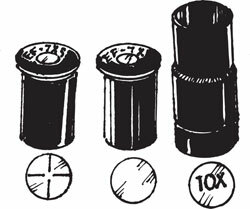 Pick the 7X eyepiece (part #EF-7X), the 7X with a reticle (part # EF-7XS) or the 10X (part # EKW-10X). 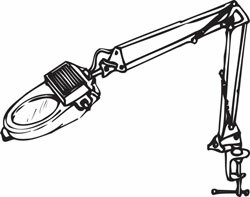 This handy folding magnifier is 5" long x approx 1-3/4" x 3/4" thick with a 16X glass lens mounted above a pair of white LEDs. 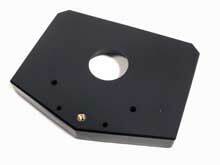 Unfolds to 2" long arm holding the lens above a 2-3/4" x 1-3/4" base. You add (2) "AA" batteries. 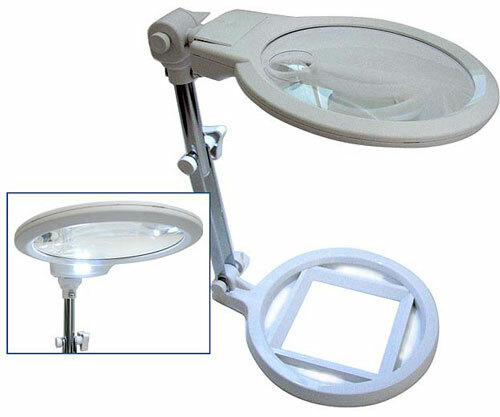 One of our largest double loupes. 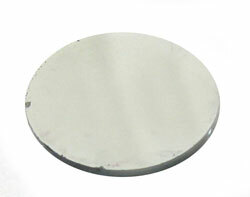 Shaped like a giant apostrophe, it measures 2" thick x 2-1/2" long x 1-3/4" wide at the widest. 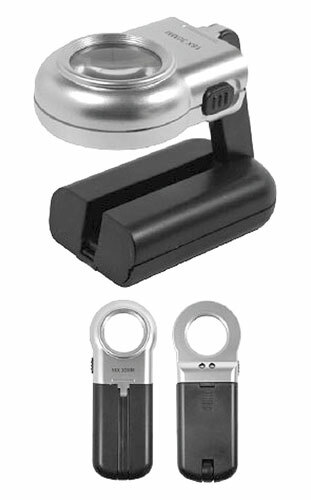 Has a high-low beam white LED light, plus a UV LED light, both powered by an A23 battery, included and replaceable. 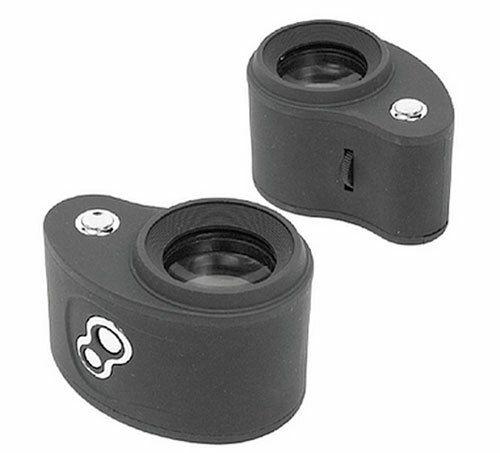 The 1" dia lens has a thumbwheel focus and is 10X, according to the box, but we say it's closer to 7X.